The Mexican Friends Association was established in the 1970s with the purpose of promoting Tel Aviv University in Mexico. For more than five decades the Association has devoted itself to disseminating information about TAU's achievements in the sciences, technology, security, the humanities, society and the arts. The Association holds a wide variety of activities such as conferences and symposia, fosters cooperation agreements between Tel Aviv University and Mexican institutions of higher learning, bolsters student exchange programs and study opportunities at TAU, and publicizes the University's research innovations in the Mexican media. 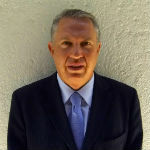 Jaime Murow Troice has been appointed President of the Mexican Friends of Tel Aviv University. A Mexico City native, Jaime is President and CEO of Devox Group General Paint. Jaime is an active member of local Jewish community organizations, and is the former Chairman of the Board of the Beth Israel Community Center.